Calvin Klein is one of the leading fashion brands in the world with a modern, minimal and refined aesthetic. 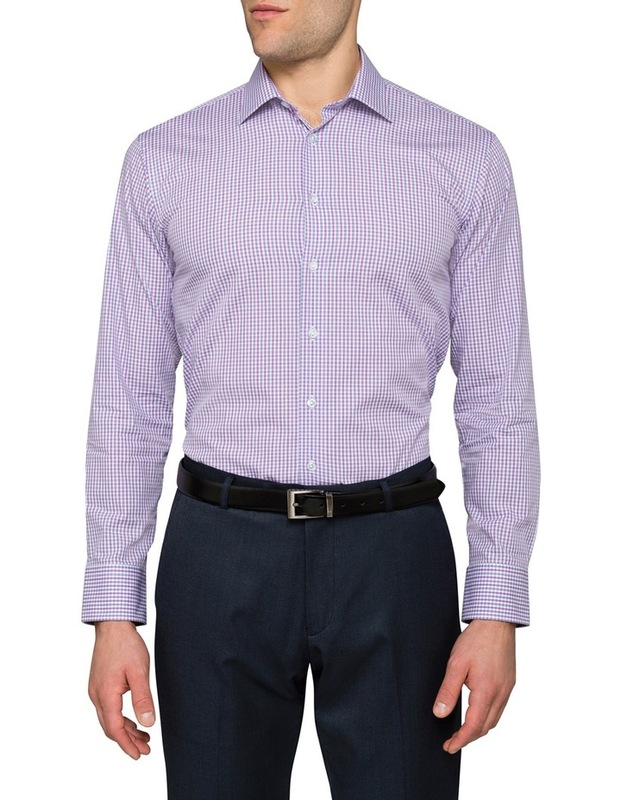 Quality fabrics and exceptional craftsmanship reinforce Calvin Klein white label shirts as a leader in their category. 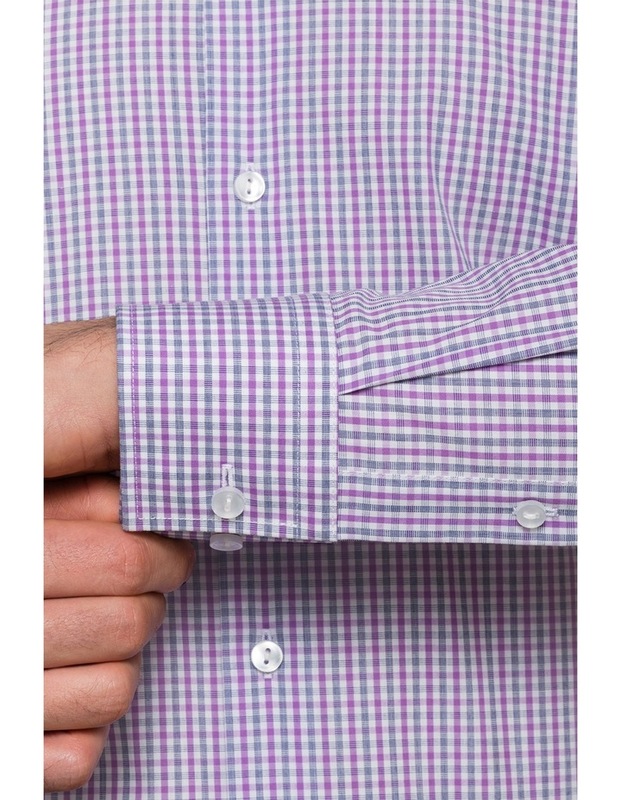 Crafted from 100% cotton, the Calvin Klein Purple Check business shirt is tailored for a slim fit and features a cutaway collar, squared cuffs and check pattern. 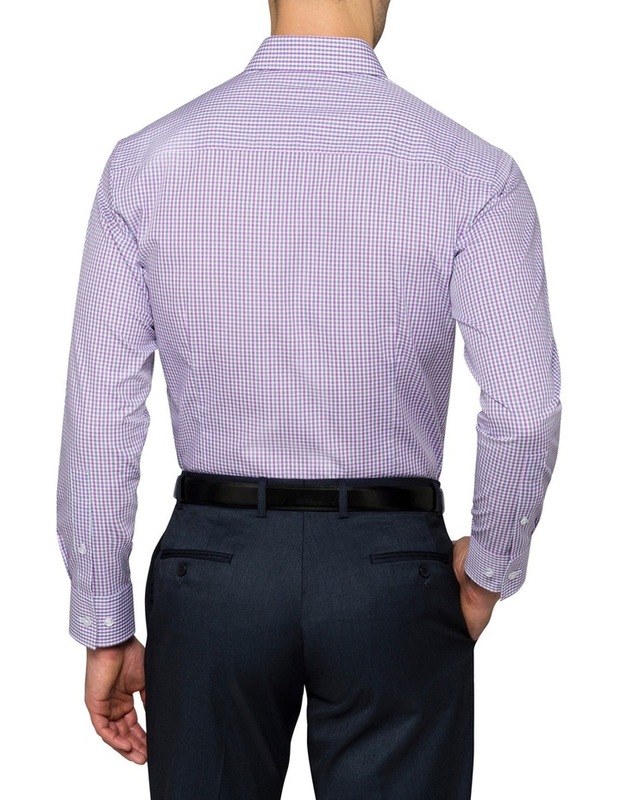 Designed to be worn with or without a tie, this slim and youthful silhouette allows you to transition effortlessly from day to night.